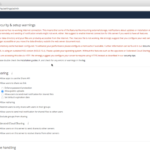 Next week, ownCloud Server 9.0 is coming! This release delivers a lot of improvements and new features to users and we want the whole world to know how they can give their data a safe home. With more users comes more attention and development to ownCloud so it isn’t hard to argue that everybody, current and potential users, benefit. Great motivation to help spread the word, right? Re-tweeting and sharing the messages we put out on our Facebook, diaspora, Twitter and Google Plus accounts is a great help! And if you’re not yet following those pages, this is a good time to start. Join us in the discussion about ownCloud 8 with hashtag #owncloud on twitter, Google+, Diaspora and Facebook! More importantly, we have to make sure ownCloud is visible on IT news sites. What is your favorite site? Make sure they cover ownCloud Server 9.0! On the release day, March 9, you can share the news by linking to the release blog. Of course, in preparation of the release, you should plan on joining (or organizing) a release party to meet fellow ownClouders in real life and discuss all this awesomeness! Stay tuned to help spread the word on ownCloud Server 9.0! So when will Windows support be re-added. I know the answer is pretty much “Never”. Which is sad, because the two issues you were having were fixable, your devs just didn’t want to add custom handling for Windows. > Aside from migration, if enough people step up to fix the bugs related to Windows Server support in ownCloud 8 and commit to supporting ownCloud on Windows, there is no reason not to bring a future release back to Windows Server. Stop crying and go use a *real* operating system. i don’t think its needed to blame people like this for wanting to run ownCloud on Windows. Why don’t you contribute and fix that issues if you know that they are easy to fix? To bad … that this sort of comment are possible. And that someone like you think you are part of a community. 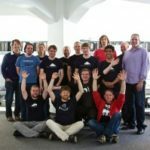 At which time on the 8th of March will ownCloud 9 be published? 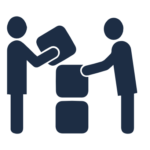 OwnCloud is free and open source software that operates as a very simple way to set up your own syncing, Dropbox-like cloud storage system on your own server or website.